Imagine knowing exactly who’s interested in your product and exactly when they’re ready to buy it. That’s the ultimate promise of behavioural targeting. By using a highly sophisticated set of software tools and analytics, marketers can tailor Web ads based on consumers’ online behaviours — the websites they view, the products they research, and how close they come to making a purchase. Since the ad is generated by a consumer’s demonstrated interest, behavioral targeting provides stronger, more promising sales leads, allowing marketers to serve relevant ads anywhere within a network of websites. It’s a technology not without controversy, however. Consumers continue to be wary of — if not downright angry about — websites and advertisers tracking their every move. That means a user backlash could slow widespread adoption of behavioral tracking. Most advertisers rely on ad networks to do their behavioral targeting for them. Ad networks are essentially middlemen technology companies that partner with hundreds (sometimes thousands) of websites for access to information about visitor traffic. With technology that’s been around since the inception of Netscape in 1995, websites drop “cookies,” or small pieces of data, onto consumers’ hard drives to keep track of user preferences, the contents of their electronic shopping carts, their searches, and details on where and when users click on a site. 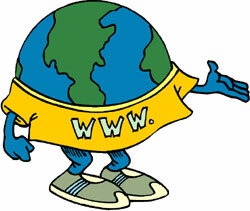 Websites also collect visitors’ IP addresses — the numerical code that identifies each computer connected to the Web and its geographic location. With this raw data, an advertising network can use software and analytics to identify consumers with like interests and Web surfing habits. The networks then sell advertisers access to these niche audiences. The drawback here is that ad networks can only track consumers when they click within websites that have partnered with the networks themselves. In the last year, however, more sophisticated tools for targeting emerged, which let ISPs track consumers wherever they go on the Web. The ad serving companies that developed the technology haven’t disclosed usage statistics. Market research firm eMarketer projects that spending on behavioral targeting will nearly double to $1 billion in 2008 and will hit $3.8 billion by 2011. The technique is on the rise because it addresses some of the key problems that have plagued the industry: The cost of Web marketing is rising, customer acquisition costs are soaring, and conversion rates (the percentage of people who actually make a purchase after seeing an ad) are decreasing — primarily because consumers are tuning out online clutter. Behaviourally targeted ads are a cost-effective way of honing in on potential customers who have demonstrated some level of interest. Until recently, marketers couldn’t buy enough space on enough websites for a truly effective behavioral targeting campaign. Now ad networks have amassed enough participating websites for marketers to see the big picture of where consumers are clicking and why. ISPs can now also facilitate data collection, which makes the picture all the more attractive to marketers. Compared to other methods of advertising online, behavioral targeting offers a great bang for your buck. If you’ve already placed ads online, or tried to, you know that “premium” spots — the spots on major media sites with lots of traffic— are highly competitive, expensive, and less effective at reaching a particular customer that’s right for you. Buying sponsored link spots next to search results is another option, and one more likely to reach an appropriate audience, but the reach of such a campaign is still limited by the number of users who search for terms related to your particular business. Behaviourally targeted ads, on the other hand, make for a more cost-effective campaign. Marketers pay to reach only potential customers who have shown demonstrated interest, and serve ads only on Web pages that these customers visit and have affordable ad space. For example, according to the Wall Street Journal, Pepsi worked with ad network Tacoda in early 2007 to serve behaviorally targeted ads for the launch of Aquafina Alive, Pepsi’s vitamin-enhanced water. The campaign targeted “health-conscious” consumers, and then served them ads wherever they traveled within Tacoda’s network of 4,000 sites. Compared with other kinds of Pepsi Web-based campaigns, Aquafina Alive attracted three times the number of consumers who clicked on the targeted ads. The breadth of Internet usage data available to marketers is continuously expanding, making it easier to create detailed consumer profiles. Yahoo, for example, divides its audience into targetable groups for advertisers, such as “consciously cruising” (eco-conscious drivers interested in alternative fuel cars). Consumers in this category have performed a series of Web-based actions indicating their readiness to purchase. For example, they may have searched alternative fuels, visited Yahoo’s Green Center, and looked up the price of a Toyota Prius. Compare that level of real buying interest with, say, the broad swath of people who read Car and Driver, and a marketer gets seriously interested. It’s not just about what marketers know from targeted info, but what they can infer from it as well, says Bill Gossman, CEO of ad network Revenue Science. “One of the more surprising assumptions you might be able to make, for example, is that someone is a frequent traveler, just by noticing that he or she often comes in through [geographically] different IP addresses,” he says. Using that IP information, plus cookie data, an advertiser could obtain a very detailed picture of a traveler’s habits —where she goes, how often she travels, the length of her trips, where she prefers to stay, which airline she prefers to fly on, and more. The biggest challenge to the widespread adoption of behavioral targeting continues to be consumer privacy concerns — recall the recent furor when Facebook announced it would sell user information to marketers. Even though websites and ad networks claim they’re not collecting and storing personal data, like usernames or home addresses, many consumers are offended by the idea that they’re being tracked. In December 2007, the FTC tried to address consumer fears by proposing five guidelines for utilizing behavioral targeting. These include informing consumers when their information is being collected and allowing them to opt out of the program. But the fact that many websites continue to bury this opt-out disclaimer doesn’t encourage consumer trust in the process. Another drawback: Tracking technology still has trouble distinguishing multiple people using the same computer. In households with a family computer, marketers are not able to accurately target who is clicking where, and why, unless each user has a separate log-in. Until better technology can address this issue, behavioral targeting will continue to fall short of its promise. Yahoo/BlueLithium: Yahoo already knows a lot about the 500 million monthly users who log in around the world for email, news, and other Yahoo features. The company purchased BlueLithium ad network in 2007 to extend its global reach and targeting capabilities. Advertisers include P&G, Best Buy, and Volkswagen. Revenue Science: Revenue Science is one of the largest independent online ad networks and acts as a middleman, analyzing websites’ traffic data and selling advertisers access to specific consumer audiences. Clients include Barnes & Noble, The Wall Street Journal, and American Airlines. NebuAd: This ad company developed proprietary hardware to allow ISPs to collect surfing data on every person who connects through their services — wherever they go on the Web. NebuAd then creates detailed consumer profiles for ad networks to purchase. The company does not disclose which ISPs use its technology. IP (Internet Protocol) address: A unique numeric address — four sequences of digits connected by periods (i.e, 35.352.422.65) — that identifies a computer and its geographic location when connected to the Internet. Cookies: Nearly every website drops cookies, or small pieces of data, onto consumers’ hard drives. Cookies collect user preferences, saved passwords, and contents of electronic shopping carts, as well as users’ searches, and where and when a user clicks on a site. Cookies can be deleted or even rejected altogether within specific browsers, but many sites require consumers to set their browsers to accept cookies. Retargeting: Serving ads to consumers after they visit a website,, based on the premise that their visit must imply interest in the advertising company’s products or services. Retargeting does not consider the frequency of a user’s visits, however, to determine interest level. Contextual targeting: In contrast to behavioral targeting, which serves ads relevant to users’ interests and actions, contextual targeting serves ads relevant to the content on a Web page.